and a slack pardon bruised the slaves wages. and not a care drop to quench a thirsting dispair. alone he must search for the sword to defend . so envious treasures lay safe from the dead. But I was scared of it, see? And I had to eat it alive! It was dead, it was rot. It made me shiver, made me cold. Why I have such dreams? Of terror and dead things. Do they come forth from him? Or am I really a monster within? A dream I had about a dead rat. till the monster I am, they find. and they want my blood to flow. but can't help to grin like a clown. 'cause the monster I was, they found. Hey guys, sorry I didn't post right away, I kind of forgot. But to make up for it, I'm posting three poems today, one for the past three days I have missed! More are on the way! And as always, criticism of any kind is appreciated. Do you hear that unmistakable sound? Books and such, yes, and an army of strings. Strings, you say? Yes! His puppet display! If he sees you, I'll say it was nothing to do with me! But enough of that now, On With The Show! But the men see not stories, just girls in bright colours. But old Clockstop knows where all these men live. You can leave if you manage to keep your hands clean! As the puppet show dancers are emotionless and flat. But do not be fooled, for the puppets aren't wood. Can expect to be treated with the same disregard. "You were leering, and that reflects little respect..."
Now you're dead, with a puppet string tied round your neck. of Grimbledorfs above my head. as if they were blood-kissed. and yellow as the sun. plus they'd all talk as one. was to tell them tales of the Moonlight Gin. or an alcohol of any kind. but believed it was hidden from them. of a land very far the way. to cure them all they say. looked deep within a metal chest. a small one laid upon my breast. they could make it by first light. If they weren't hidden before the end of night. diving off of my bed. I'd better have another tale or I'd be dead. and I ground in sorrow. so they'd be back tomorrow. 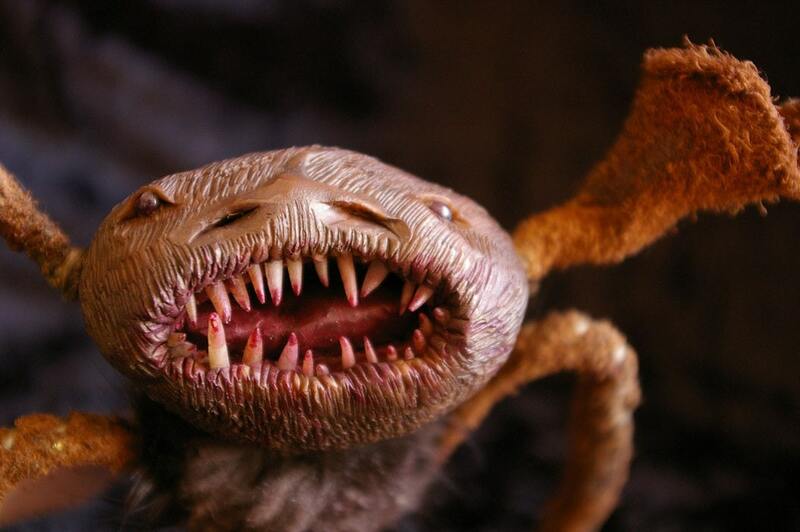 When I was younger I'd imagine these little creatures were sitting at the foot of my bed. And they were always getting ready to nibble off my toes if I ran out of tales. In a miserable dump of a mining town. and the cats killed your dogs and the drunkards pissed in bottles. and the teacher had no teeth. because my brother had gone mad. for drunkards and for perverts. taking money from the Scum. so you should start pulling your weight." In a most remarkable place. to send a little girl into The Lilac Mine. for the Miners' while they worked. and I was sat in the darkness still. of meat and scotch and wine. I don't wish to continue, but really I must. They saw me and started smiling. Boiled leg or skewered neck? and the Purples were deranged. They called him Olly Plum. and was loved by everyone. of an old friend of mine. I knew a girl called Sally. 'til they found her dead in an alley. but she acted like a child. but none more than Olly Plum. I was a little scared. What if they wanted to eat me? Oh well. No-one would have cared. but she was waiting by the fire. "Where the hell have you been?! took a wrong turn into a ditch!" "That'll explain the state of you. Off you go to bed! Be sure to come home early tomorrow or trust me, you'll be dead!" would have caused me less distress. and play their music too. You think it was too. on the day I turned Thirteen. and Violet gave me a tambourine. "We'll be just like sisters," she whispered to me that night. But as she came close, I saw in her eyes, something which gave me a fright. The Purples' eye were purple too! And that's what made me scared. would my vision be impaired? was nought to do with their homestead. the townsfolk were to blame. to the Purples' utter shame. "Why Purple, though?" I asked him. the stones and pulp of plums! that my eyes were purple too! "What is this?!" I cried. "What's happened to me? I've caught the Purple Curse!" your life could be much worse!" For things began to change. so the Mayor had a Search arranged! was my darling Best Friend, Violet. But her feet and arms kept going. And the next moment: we were screaming. but he arrested me instead! Bought me from my cell. that the Purples were condemned to hell. "These cannibals now shall hang!" "YOU MONSTER OF A MAN!" Was my darling Violet, who smiled. so we'll only be apart for a while!" that this monster would soon be dead. the "snap" which had broken her neck. I can hear poor Violet's neck snap. lurks a being, so cold and heartless. It's vision is gone, for many years lost. Other senses are strong, well worth the cost. It preys upon weakness and tracks down the small. It plays with uniqueness, attacking us all. A definite improvement, for a tyrant renowned. It deals, it feels, with selfish ideals. It steals and reveals it likes you for its meals. The height and the might of the parasite. Seek not to maim, blame, or even defame. For the same frame gave the monster its name. Afterthought, you're right, its name is conformity. There are currently 6 users and 91 guests online.